I am a big fan of Smuttynose’s Big Beer Series. Some of the very best high ABV beers so I try to grab them whenever I see a new one. This one is their Wheat Wine Ale which combines the barleywine and wheat ale styles. The last ABV reported on the Smuttynose website was 12% in 2010. This was a bottle from 2012 and I have to assume it was in that area. Appearance is a deep orange with a very thick white head. It took some time to get the glass this full. Aroma has lots of caramel malts and a fair amount of booze. Taste has a bit of everything with those big malts coming through with some vanilla and a bitter and boozy finish. This sounds like it would be a bad combination but it works as there are a lot of things happening in this beer. I have yet to be disappointed with anything from their Big Beer Series. If you haven’t tried them, find them. 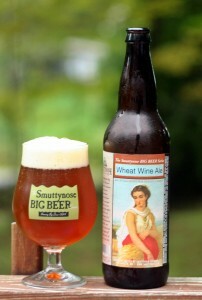 Brewers Description: Smuttynose Wheat Wine Ale is a unique hybridization of two well-known beer styles, combining the rich, voluptuous taste of a traditional barleywine with the subtle, tart flavors of an American wheat ale, topped off with a healthy dose of crisp, herbaceous hops. For more information about this style, please consult the Brewers Association Style Guidelines. 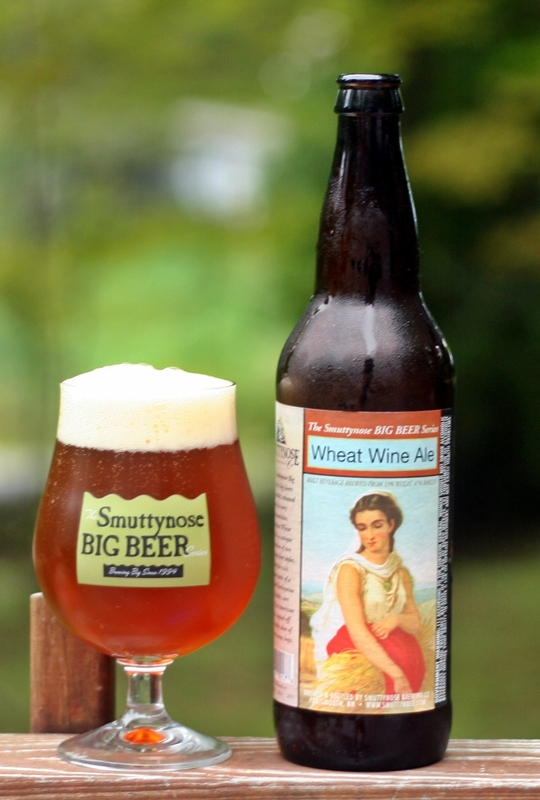 The much-anticipated debut edition of Smuttynose Wheat Wine, brewed and bottled early in 2005, was delayed for nearly a year due to problems stemming from the federal label approval process. The Tax and Trade Bureau (formerly ATF) rejected our original label approval application, claiming that use of the word wine in a beer name would confuse and mislead consumers and retailers. We didn’t agree (barleywine, anyone?) and appealed their rejection. Ours is the first, but definitely not the last, wheat wine application the federal government has seen, so they had to create new guidelines regarding the use of this name. We did prevail, at last, and the issue has been put to rest, and although there are several outstanding examples of this style offered at brewpubs, we are pleased to say that Smuttynose Wheat Wine Ale was the first commercially bottled Wheat Wine on the market.